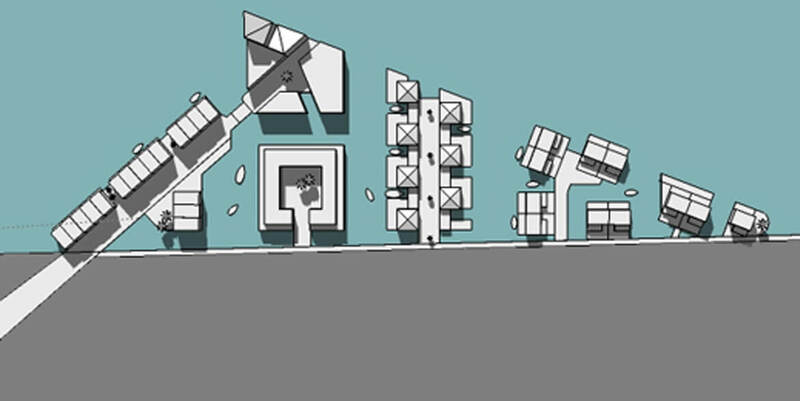 The Melrose Place apartment building measures 25 by 25 meters and covers 20 small apartments around an open inner courtyard. 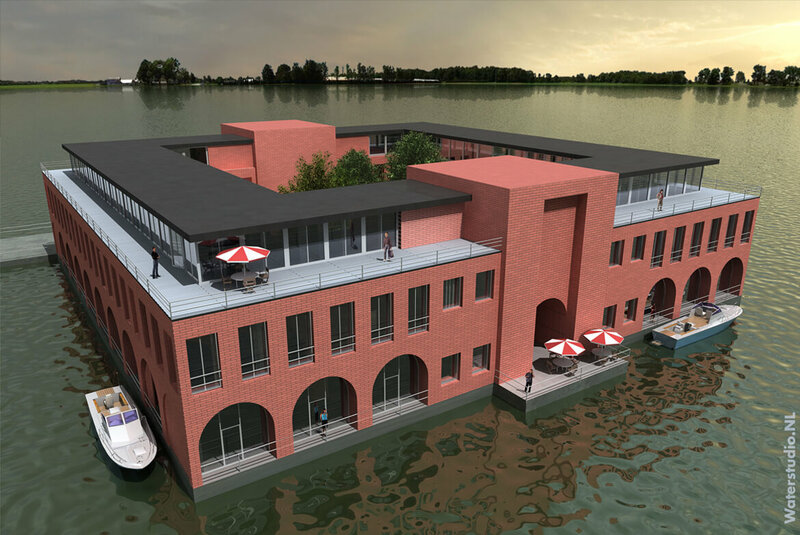 The design has been made for a Dutch town called Zwolle. 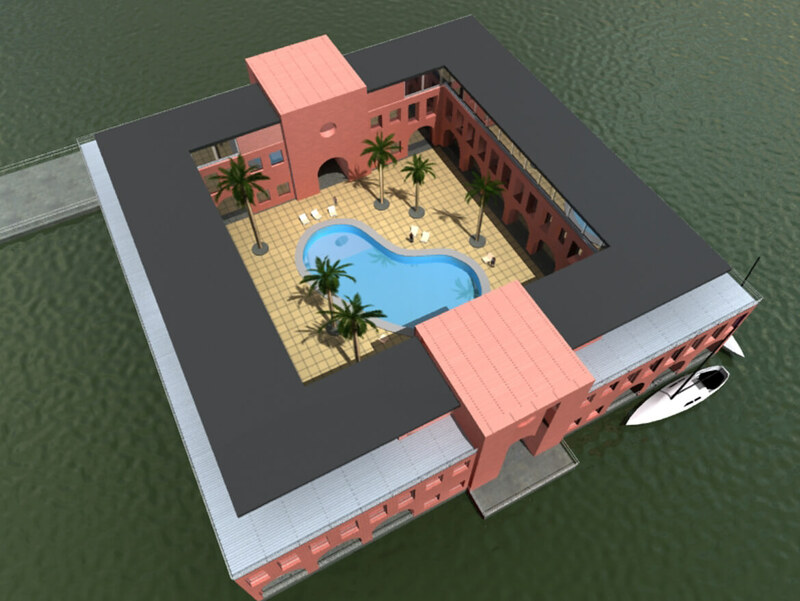 Different themes, or even a pool, can be added to this designconcept. 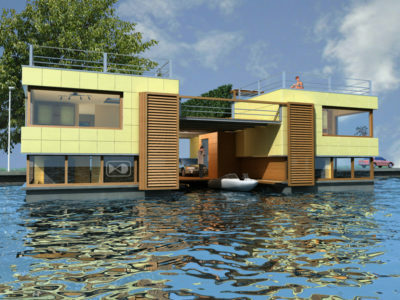 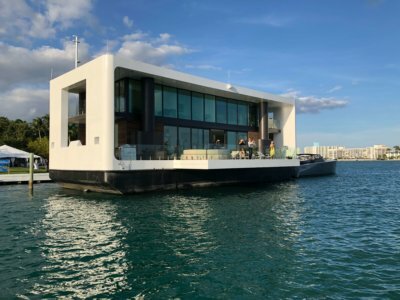 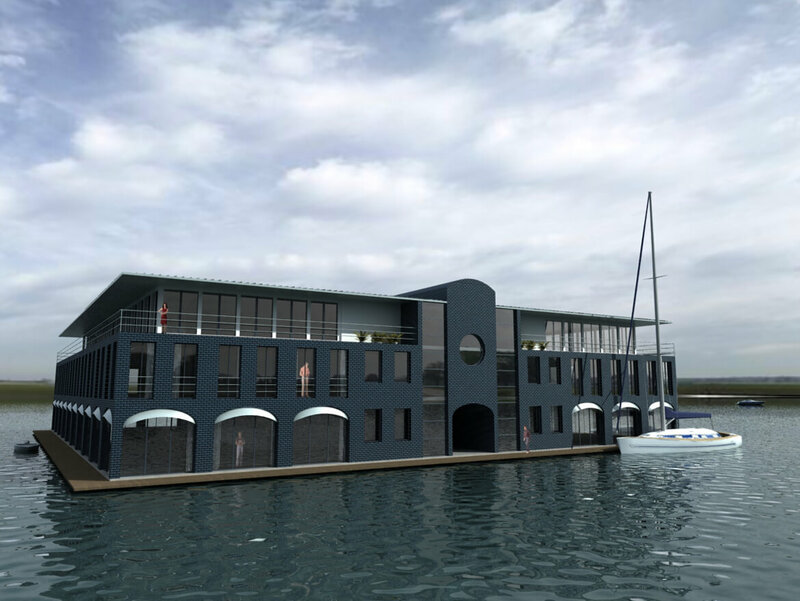 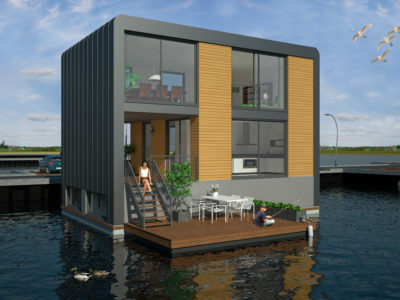 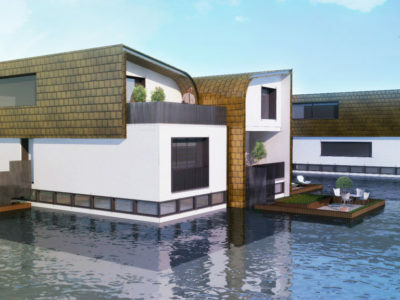 The depth of this floating structure is 1.6 meters and it is able to float in semi-open water such as a seaharbour.